An old English plum variety, Coe's Golden Drop (Prunus domestica 'Coe's Golden Drop') was introduced in the 18th Century. 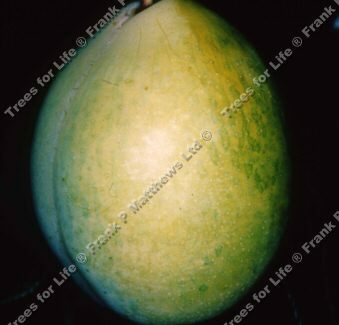 It is the result of the cross between the gage varieties Green Gage x Dame Aubert. The gages are large in size, an attractive yellow colour and oval shaped with a long neck. Coe's Golden Drop produces excellent quality gages for fresh eating or preserving. It is supposed to be stored in good condition for many months by hanging in a dry place or wrapping in tissue paper according to Lindley's ‘Guide to the Orchard'.